RedShift Networks chosen from over 1,100 applicants representing 24 countries at one of the world's largest entrepreneur conferences, with the 2013 TiE50 “Top Startup” award. RedShift Networks has announced today that it has been named Winner of 2013 TiE50 “Top Startup” Award at TiEcon 2013, the world’s largest conference for entrepreneurs. RedShift Networks was amongst 50 winners honored on Saturday, May 18 at the Santa Clara Convention Center. “Over the past four years, the TiE50 program gained global acclaim attracting startups from all over the world. 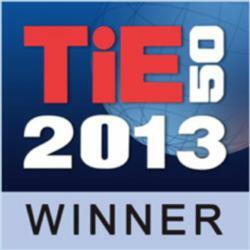 TiE50 as a brand has gained much recognition amongst the VC and Angel communities – particularly in the Silicon Valley. About 110 finalists and winners had successful exits,” said Program Chair Ram K. Reddy.